Adam picked up two artists last night. In my opinion, two very strong and powerful performers. Nineteen-year-old Christina Grimmie was first to take the stage last night with “Wrecking Ball.” She began posting music on YouTube when she was fifteen, and now has over 2 million subscribers. I can see why. Her cover of Miley's song was mind-blowing, ultimately turning all four chairs. Team Adam is a very good choice for her. Also joining Adam's team is the indie-folk duo Miranda Dawn and Christopher Hawkes, known as Dawn & Hawkes. They came out and performed an acoustic set, both playing guitars, and nailed their cover of “I've Just Seen A Face.” Within seconds Adam and Shakira hit their buttons (Shakira multiple times). You could see the excitement in Adam's face while watching their performance, and said to them after that this was his favorite performance EVER done on The Voice. I have to agree. There pure vocals (and love for each other) resonated everywhere. You couldn't help but be drawn into them and their sound. The connection they have with one another surpasses anything I've ever seen, and that connection just holds you with them. To their testament, they may have only had two chairs turn, but their performance from last night, at time of this writing, is sitting at #25 on iTunes OVERALL Singles Chart (many, many spots higher than anyone else from last night), and it's still climbing strong. Joining Team Usher are two talented Soul singers and one Powerhouse Blues performer. T.J. Williams turned three chairs with “Bennie and the Jets.” He's got a great soulful voice and Usher can see an R&B album in his future. Biff Gore is forty-five years old and expecting his sixth child, but man can he sing. He calls his style of music “Life Music,” because it makes you come alive. With no surprise, all four of the coaches' chairs turned. Seventeen-year-old Bria Kelly stunned everyone with her power when she performed “Steamroller Blues.” Blake and Adam turned their chairs before she even finished her first note, and in the end had all four coaches fighting for her to join their teams. Usher was the first to speak and simple stated: “Ladies and Gentlemen... we have just heard The Voice.” Adam turned to her and said that “you haven't even been alive long enough to feel the pain you were expressing up there!” The 'arguing' continued until Usher took out one of his Grammy Awards and took it up to the stage to show her what she could have. Going into the Blind Auditions, she was sure she was going to pick Adam, but in the end, felt choosing Usher was the right thing for her. Shakira picked up two singers last night. 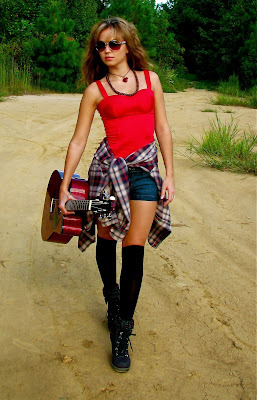 Kristen Merlin is a strong country artist with much experience under her belt. I think she did “Something More” almost perfectly. She had the right amount of energy and an amazing country sound, yet Blake didn't turn his chair... makes you wonder what his plan is this year? Kristen did turn two chairs and chose Shakira over Adam. Classic rocker Jeremy Briggs also secured a spot on Team Shakira with his rendition of “Bad Company.” He's the lead guitarist and vocalist in his band, and although he's never had any formal voice training, he showed amazing control and range. Both Blake and Shakira turned for him, and though I think Blake may have been a better choice for Jeremy, he chose Shakira.